A remarkable book – excellent and compulsive read – with the odds heavily stacked against her, Carol’s determination to make it as a singer would make a great film if it could capture the underlying theme of changing times from an era that was almost recognisable as Victorian to the transformation that was rock’n’roll driven by the post-war generation and rise of multicultural Britain. Carol is a brilliant singer and having enjoyed her singing back in the early 70s with Uncle Dog, I would never have imagined the backstory of her life at a time when her performances oozed such confidence and she was rightly referred to as England’s Janice Joplin. When she sings the blues with such feeling it is because her life sprang from personal hardship, rejection and a gritty determination to overcome, which the blues and The Singer’s Tale richly evoke. Here’s hoping that Carol can share with us the rest of her story from the ‘80s to now. 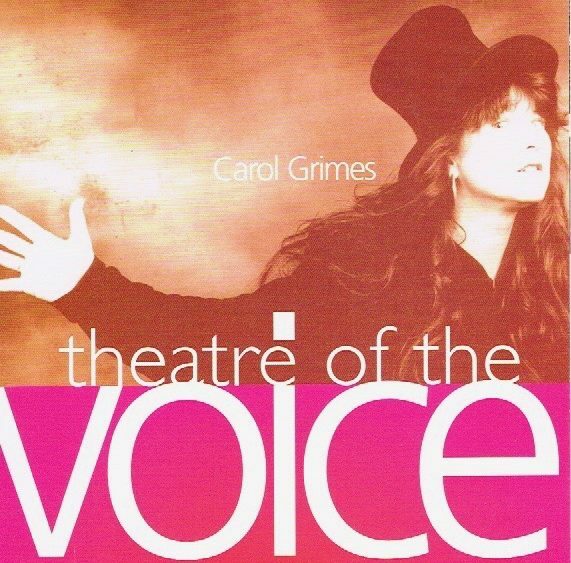 Anyone who’s ever witnessed Carol Grimes in concert will testify to the fact she possesses a raw emotional power, tempered with the shading of experience and the passing of time. Those lucky enough to have heard her simple yet devastating renditions of Fran Landesman’s “Scars”, or Eden Ahbez’s “Nature Boy” resonating in packed rooms, or jazz stages, will want to read her backstory, to find out more. This is a fabulous book. I bought it as I love Carol’s singing, but you don’t need to know her music to appreciate this book. This is so much more than your average music biog. It paints a vivid tale of growing up in post-World War Two Britain, then moves through an extraordinary life to becoming the acclaimed singer that she is. What an incredible book! So cleverly and vividly written, not only about Carol Grimes’ life & career, but also the story of London from the war years in the 40’s through to the hippy & punk years to the 80’s. Could not put this book down. Absolutely fascinating. I love this book. So vivid – she brings everything to life so well. Also so exciting- is she going to make it as a singer or has she missed the boat? Thank goodness, she did make it and she is wonderful. I love this book! It’s an honest, moving, vivid read…..looking forward to volume two. I wanted to read this because I knew a bit about Carol’s life and work and had lived in London when we were all fighting the far right. I have to say that I was completely unprepared for how beautiful the writing is – so poetic and richly descriptive. In places, it was reminiscent of Pynchon. The style is unconventional and jumps about a bit but this adds to the feeling that it’s absolutely real. This is much more than a memoir, it’s an immersion into the mind and world of a resourceful and courageous woman. I found it utterly compelling.